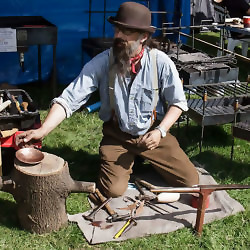 John is a brazier -maker of domestic copper and brassware items- and a blacksmith making historic reproductions for museums, educators, reenactors and anyone with a love of hand made traditional metalwork. 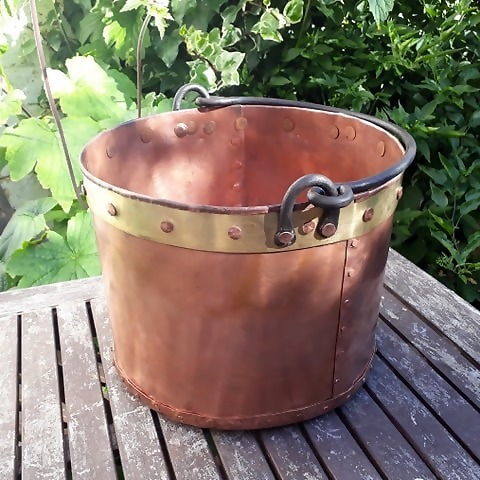 John's speciality is making traditional and historic copper and brass kettles, buckets and kitchen utensils. 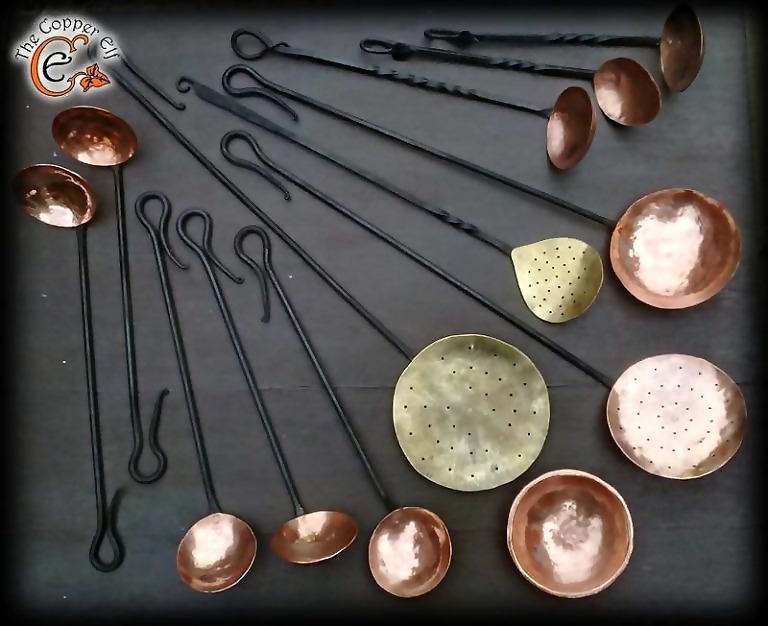 A range of copper and brass ladles, skimmers and slices based on historic examples. 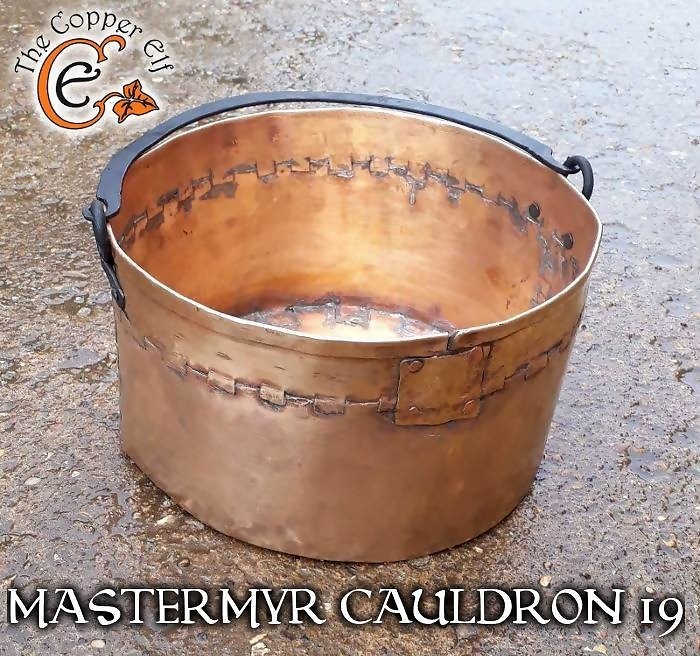 This is a replica of Mastermýr cauldron 19. It is made from gilding metal and is stitched and soldered together. The original is dented and patched, this is replica has some of the same patches and misshapen parts. 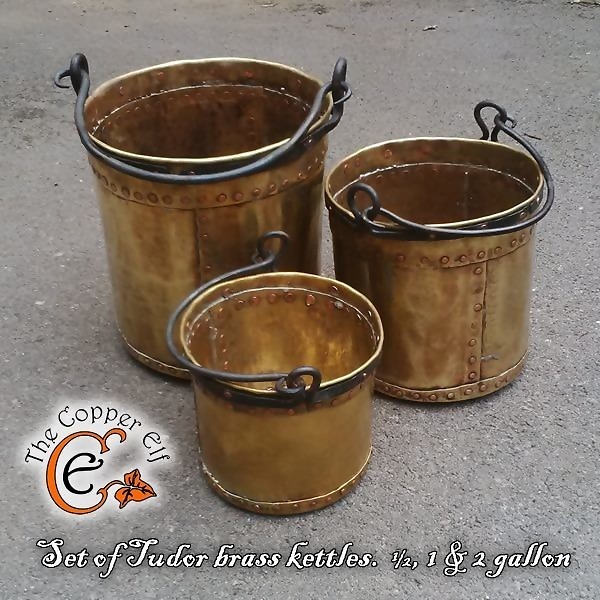 Cartridge brass kettles with copper rivets and blackened steel handle. This style of kettle was common during the Tudor and Stuart periods in England.